Punctuation rules are like road rules—to arrive safely at your destination you have to know them. 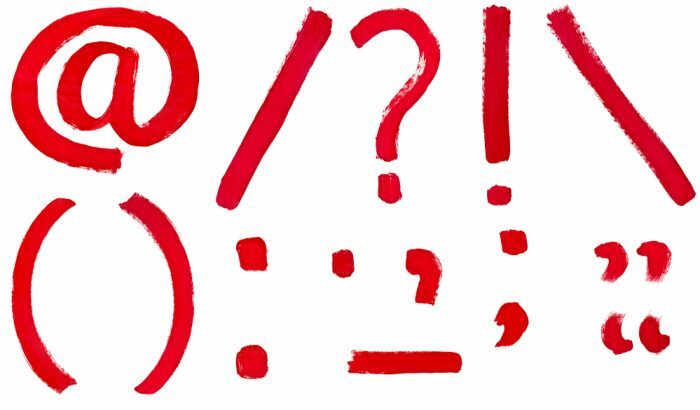 So what are the punctuation rules you need to know for 2019? How to use apostrophes, commas, quotation marks, hyphens, dashes, colons, semi-colons and more—it’s all important and we’ll go over them one by one. These are the most common punctuation mistakes people still make today. Get to know them, watch out for them, and if you find that you make them start correcting those bad punctuation habits! Let’s get started! Some people tend to use apostrophes the way they use salt: they throw it all over everything never thinking about the consequences. Just because you’re probably used to seeing an apostrophe used with it’s doesn’t mean every time you add an “s” to something it gets an apostrophe. Here’s the reality: apostrophes ARE NOT used to make words plural. They are used to combine words (like do and not in don’t) and they are used to show possession (my friend’s dog bit the mailman’s leg). Use an apostrophe when you are showing possession for common and proper nouns. Where is Mike’s house? That is the teacher’s notebook. The bus driver’s radio is not working. The fairies’ wands are broken. The groupies’ photo is in the book. Use an apostrophe to form contractions (combine words). Tip: There is a difference between “it’s” and “its”—the former is a contraction of “it is” and the latter is a possessive pronoun! Use an apostrophe when you are showing possession for pronouns. Pronouns have their own possessive case! That is my book. That is her jacket. That is their boat. His car is fast. That is yours, not mine. This is theirs, not ours. Use an apostrophe to make words plural. The Smiths are not at home. The nests are in the tree. The leaves are falling at the Harolds’ residence [note Harolds is plural for Harold but an apostrophe is needed after the “s” because Harolds is possessing “residence”]. Rule #2: The Comma—Know Its Place! Commas have a specific purpose but most people either tend to never use them or to over-use them. Sometimes they get used incorrectly (i.e., when a person should be using a period or semi-colon). Commas help the reader with the syntax of the sentence. If you misuse your commas, you throw off your own syntax and confuse the reader. Keep your reader in the know by making sure you use the comma correctly. Use the comma after an introductory word or phrase. Yesterday, Mom went to the grocery store. After that, she went to the doctor to get information on her back ache. Later on, she visited the zoo to say hello to the baby pandas. Use a comma with a coordinating conjunction. Use a comma when joining two independent clauses. Use a comma to set off the person to whom you are speaking. Here are the do’s and don’ts for comma usage. Use a comma to join two independent clauses. I went for a jog, and I ran into my friend Zach. Use a comma when joining a dependent clause to an independent clause. I went for a jog and ran into my friend Zach. Tip: If you can only find one subject in your sentence, you don’t have two independent clauses. Note that in the second example, the second “I” is missing—that means the second part of the sentence is dependent upon the first. Separate with a comma the dependent clause from the independent clause when the dependent clause opens the sentence. Feeling unsettled, I got up from my desk and walked to the window for some fresh air. Separate appositives with a comma. That is his backpack, the gray one with the red stripes all over it. Use commas to separate the verb from the direct object. Use a comma to offset the person to whom you are speaking. Don’t forget the marbles, Gary. Quotation marks can be tricky for a lot of students: they don’t know where punctuation goes. Sometimes punctuation is included within the quotation marks and sometimes it comes outside the quotation marks. Typically, a comma will precede an opening of quotation marks and the final punctuation will be included within them. Let’s look at these simple do’s and don’ts to get a feel for how to use quotation marks correctly. Use a comma to offset the quote outside the quotation marks. Place ending punctuation outside the quotation marks. “Where is she going?” wondered Sally. Capitalize the first word of a quotation when the quote is said by someone. Place capitalize the second part of a quote when it is broken up in the middle. Use quotation marks whenever you are quoting someone else’s words (and always include the source). The film has been described as “a total waste of time for anyone with even half a brain” (Ebert, 2003). Use quotation marks when you are not actually quoting anything. Some people use quotation marks when they are trying to convey irony or draw attention to a specific word usage. This is okay in non-formal writing, but in academic writing it is not recommended. The “play” was not very good. Note: In formal writing the reader will wonder why “play” is in quotation marks. Was it a play or not? Formal writing should be clear, not sarcastic or facetious, and never colloquial. This is why such style is not recommended. Colons can get thrown around a lot without rhyme or reason. So let’s just keep it simple. When you’re doing a paper, the best time to pull out the colon is when you have a list of items that relate to the complete thought (i.e., an independent clause with subject and predicate). Colons can also be used in other ways, however—and we’ll see how in the second half of this rule. Introduce the list with a phrase prior to the colon. When I eat dinner I always make sure to have the following items on hand: a brush, a coffee pot, a pack of matches, and a newspaper. Use a colon if you are integrating the list of items into the sentence. During dinner I will place a box of matches, a coffee pot, a newspaper and a brush all within reaching distance of my plate. Note: Were you to place a colon after “place” it would disrupt the flow of the sentence and sever the direct objects from the transitive verb. Use a colon to two independent clauses. There are actually many different instances in which it is okay to use a colon. Here’s another one: when the second independent clause expands on the first or illustrates it in more detail, this is another instance when it is okay to use a colon. Use a colon to allow one independent clause to enrich the independent clause that precedes it. He is a solid worker: everyday he shows up to get the job done. Use a colon to join an independent clause with a dependent clause. You can’t always get what you want, because that would be too perfect. Semicolons can be used in a variety of different ways, too. Learn to use them wisely, and it can really spice up your writing. In fact, the more you know about punctuation in general the better your writing will be. Remember, variety is the spice of life—so learn a variety of ways to make your writing exciting. Semicolons are nice because they allow you to cut down on an over-reliance on conjunctions. They let you use a variety of different size sentences—some large, some small. And they let you create complex sentences, so let’s see how. Use a semicolon to join two related independent clauses. My car has a very large engine; I cannot imagine driving anything else. Use a semicolon to join an independent clause to a dependent clause. I never could stand birthday parties, because they are loud and too chaotic for my tastes. Use a semicolon in place of a conjunction. I have never used that software; I am not familiar with how it works. Use a semicolon as a comma. In certain parts of the world the weather is even better than it is here, but most of us are still quite glad we live in this state. Use a semicolon with a conjunctive adverb. The course is quite difficult; however, if you study hard and hit the books consistently, you will succeed. The hyphen is used primarily to join words together while the dash is used to add emphasis. Parentheses are often used in place of dashes, but dashes can provide a visually appealing way to give emphasis to a sentence as well. Some consider em dashes to be inappropriate in formal writing. When writing a dissertation, for instance, you may be advised to remove all dashes from your text. Consult your advisor for more information on proper usage of dashes in academic writing. Use the hyphen when combining two words, writing number words or describing fractions. The information was not really up-to-date. Have you called your mother-in-law? There should be thirty-nine candles on the cake. One-third of the tank is full. Use the hyphen in place of a comma, a semicolon, a dash, a colon, parentheses, or to combine adverbs to the words they are modifying. Instead of: Herman- who is my neighbor- has a very well kept lawn. Write: Herman, who is my neighbor, has a very well kept lawn. Instead of: We enjoyed the party, especially the ice cream- the cake was great, too. Write: We enjoyed the party, especially the ice cream; the cake was great, too. Instead of: I’ve never been to Greece- but I hope to go soon. Write: I’ve never been to Greece—but I hope to go soon. Instead of: The favorite songs of the class were not exactly appropriate for school- they were full of raunchy lyrics and innuendo. Write: The favorite songs of the class were not exactly appropriate for school: they were full of raunchy lyrics and innuendo. Instead of: The circus was terrific- even the clowns were great. Write: The circus was terrific (even the clowns were great). Instead of: He’s a newly-arrived executive. Write: He’s a newly arrived executive. When it comes to the em dash, you can consider it to be like a strong comma. However, it is also an extremely effectively way to emphasize something you want to say. Emily Dickenson used the em dash all the time to place emphasis on certain words. I don’t know how it happened—suddenly I was standing in the middle of a crowded room and all eyes were looking right at me! Using exclamation points can sometimes be absolutely necessary to convey excitement or emphasis. However, you don’t want to overdo it with them. Too many makes it sound like the writer is constantly shouting. It weakens the overall effect. Use the exclamation mark discriminately. Place them wisely in a paragraph so as to maximize their effect. To enhance the writing, try substituting other punctuation: remember, variety is the spice of life. Instead of: I was walking home at night and it was very dark! I heard a loud scream from up ahead and it made me jump out of my skin! I never in my life heard such a blood-curdling cry! I was so beside myself my heart was pounding and I froze like a deer in headlights! I didn’t know what to do—so I just stood there and waited! And then I heard it again. That scream! Write: I was walking home at night and it was very dark. I heard a loud scream from up ahead and it made me jump out of my skin: I never in my life heard such a blood-curdling cry! I was so beside myself my heart was pounding and I froze like a deer in headlights I didn’t know what to do—so I just stood there and waited—and then I heard it again: that scream! The Ellipsis is something a lot of people use because they are trying to control the pace of their writing. It should really be used more for dramatic effect, for saving space when quoting someone (you can eliminate extraneous material by way of the ellipsis) and for expressing hesitation or confusion. Instead of: The hotel has a long history. First, it was used in the Second World War as a trading outpost: the Germans had occupied it, but locals were still permitted to gather there, and they often did, trading goods and gossip under the noses of the occupying power. Following the war, the hotel re-opened and was a magnificent hit among tourists, as it was one of the few remaining structures in the region that still captured the spirit of the old world—so much of which had been destroyed in the war. In short, over the decades it has seen war, famine, abundance and glory. It has been at the center of everything—and the walls of its halls are lined with pictures to prove it. Write: The hotel has a long history…over the decades it has seen war, famine, abundance and glory. It has been at the center of everything—and the walls of its halls are lined with pictures to prove it. The ellipsis can also be used to build suspense: I was walking home late one night, when out of the shadows there emerged…a strange looking creature with glowing green eyes and fangs! This is one writers get confused about a lot. 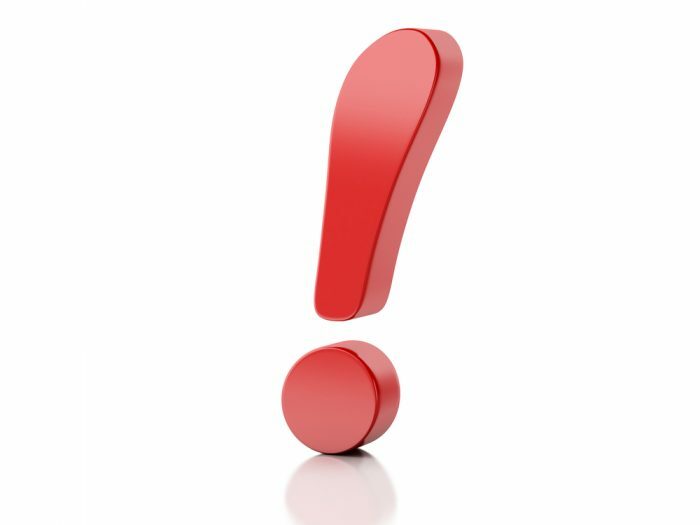 Do you put the punctuation inside the parentheses or outside the parentheses? Well, it depends. If you are including a parenthetical at the end of a sentence, the terminating punctuation goes outside the parentheses. If you are expressing a complete thought as a parenthetical all by itself, the punctuation goes inside the parentheses. I had to walk out of the movie Do You Know the Muffin Man? It was getting way too late for me—it was well past 3 a.m. However, I later read a review on Yahoo! The review made me feel much better about going home: instead of wasting time in a theater with a bad movie, I was able to get in a few more hours of work on my dissertation for my Ph.D.
Punctuation rules are something every writer should know and know well. For more information on correct punctuation, check out The Punctuation Guide. It is a great reference source you can use whenever you have a question about what sort of punctuation to use or how to use it. The key to great writing is command of your grammar. If you can control your grammar and make sure you are punctuating correctly, your writing will be so much better. Take time to review your writing before handing it in. A lot of mistakes can be caught and corrected simply by doing a quick edit of your own work before you turn it in. As always, we have editors and writers standing by to help you with your paper. If you would like a professional to go through your work and edit it for mistakes, don’t hesitate to place an order now. 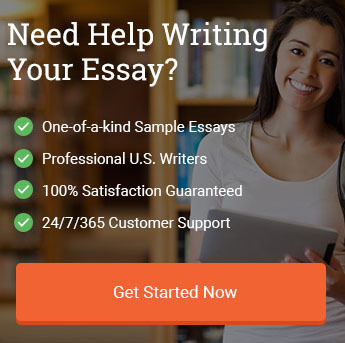 If you’re still stuck in the writing process and would really just like a model essay to help you get going on the right track, we have writers standing by to assist you with that as well. Feel free to browse our site for more helpful tips as well! "10 Punctuation Rules You Must Learn for 2019." Aceyourpaper.com. Student Network Resources Inc, 21 January. 2019. Web. 19 April 2019. 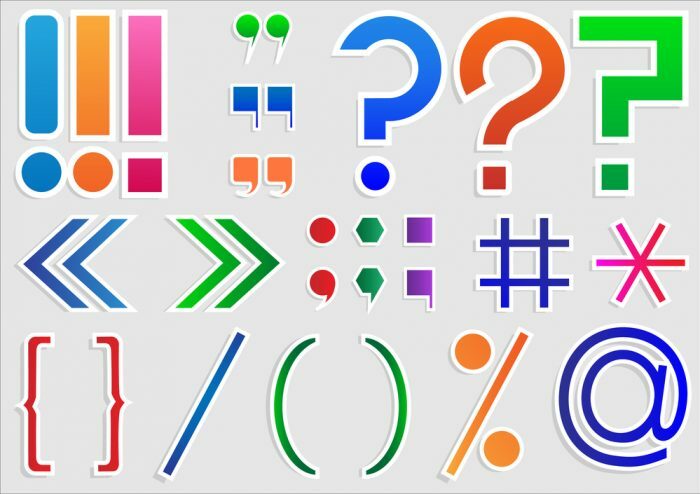 Student Network Resources Inc. "10 Punctuation Rules You Must Learn for 2019." Aceyourpaper.com. https://www.aceyourpaper.com/essay-writing/punctuation-rules/ (accessed April 19, 2019).